Perhaps some old, tried and true, as well as the modern, refreshed and new, so to these constraints the Bermuda College has embarked on producing and publishing a home spun collection of recipes for tasty consumption, in short – a cookbook. Ms. Rene Falcon, a counsellor at the BC Career Counselling Centre [CCC], told Bernews of the initiative during a recent expo held by the CCC to present and expose their service and support programmes and aiding vendors to current and potential students of the Island’s premier institution of higher learning, offering advanced degrees to associate level in varied fields of arts and science – as well as some baccalaureate and other advanced degree facilitation. On the matter of the cookbook development Ms. Falcon explained how the CCC were avidly soliciting recipes from students and the public for scrutiny and even some delicious testing with the goal of inclusion in a presented reference book for foodies. “What we’re doing here is creating a cookbook for the Bermuda College and we’re looking for recipes from students, faculty, alumni and anyone with ties or interest in the Bermuda College,” said Ms. Falcon. “We’re creating a time capsule as well, so we’re looking for people to submit memories of their time here at Bermuda College, their favoured and good memories of their times enjoyed at the College from its inception in 1974 and bringing it all the way to the present as part of the 45th year commemoration and celebration of the founding and progression, which is to take place in the new year. 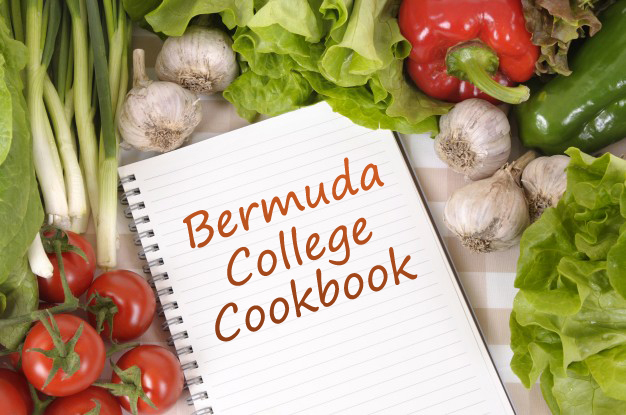 “As far as the cookbook we’re looking to include all the things and times that have encompassed the Bermuda College. There’s been the Stonington Campus as well as Roberts Avenue before they moved over here to Paget. “We have two chefs we’re to involve from the school’s Culinary Arts programme, Teneika Eve and Shawn Ming, who is Fred Ming’s son and you will see in the book how exactly they are involved in the programme. The CCC has also instituted a recipe swap for students, friends and faculty to bring forth communication, as well as foster positive relationships among campus life and beyond. Interested parties can contact the Career Counselling Centre at the Paget Campus for advice and advanced involvement.